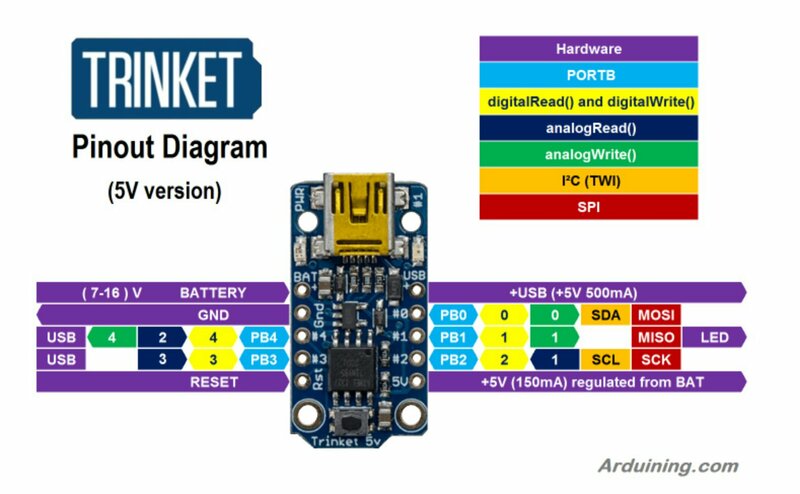 A small pin mapping reference to arduining with the Trinket (5V version). 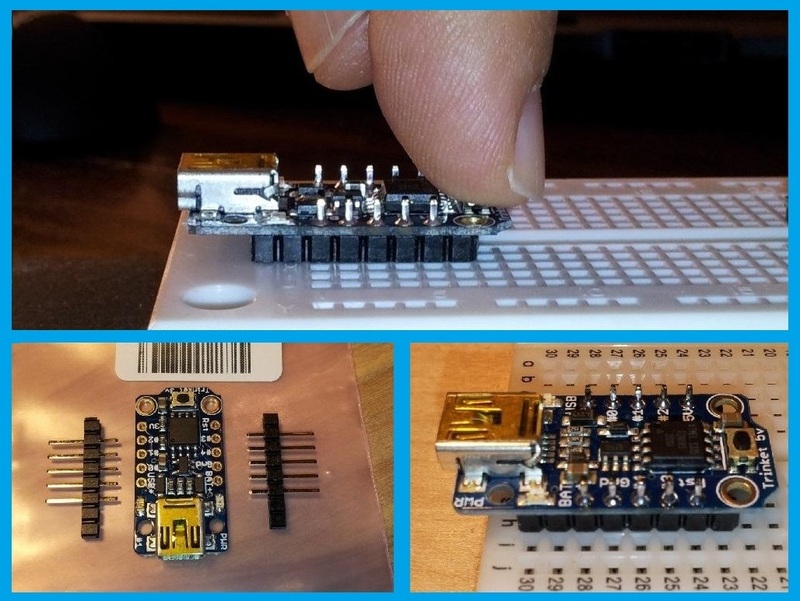 I have to admit that this little one from Adafruit is awesome! Note: to use PB4 as analog output (PWM) aditional software setting is needed. 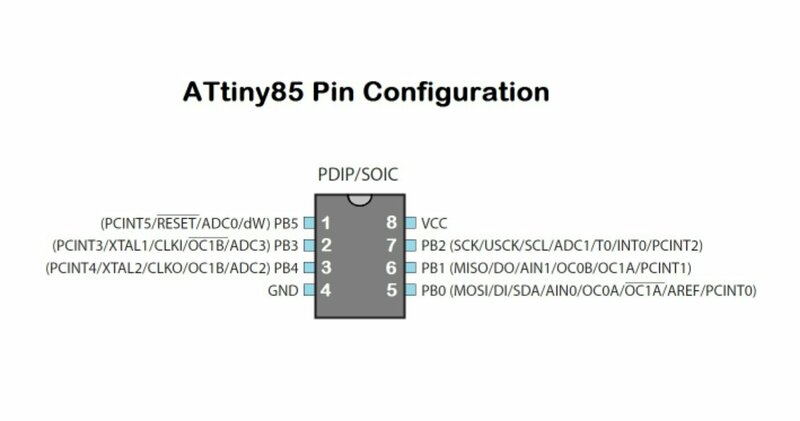 The ATtiny85 microcontroller from Atmel is the “heart” of the Trinket. Tip about soldering pin headers. When you use the Trinket in a breadboard and press the reset button, the thin pcb (0.8mm) use to bend a little. Remove the unused pins an keep the plastic for a better support. Using this method you can press you reset button with confidence. Thanks for the color illustration for the Trinket 3V/5V. I have referred to them often. The Arduining community could probably use the same type of illustration for the Trinket M0. I know I could. I would happily contribute this to Arduining if I had high-res imagery of the M0 which I would then edit in Photoshop. This Trinket family (not Pro-Trinket) all have the same footprints, so the pin functions are similar yet with very important distinctions/specs. I use them extensively here after modifying the bootloading process for a better Windows experience.